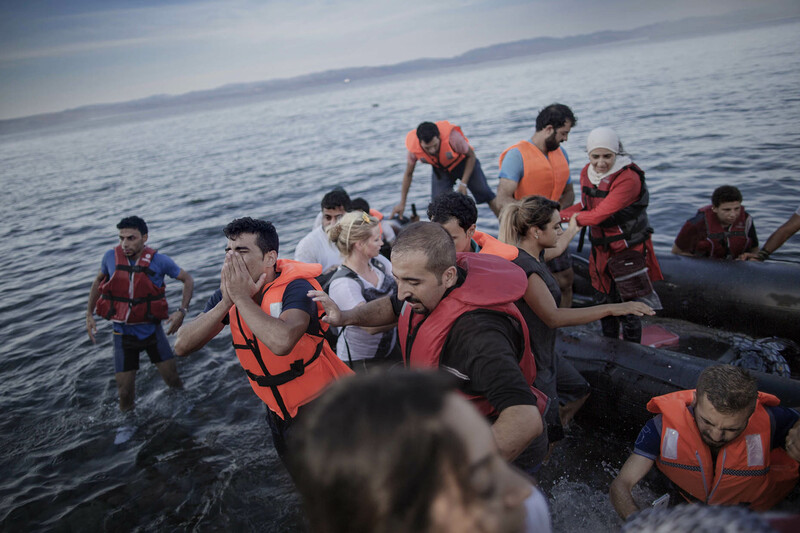 Syrian refugees arrives on the northern beaches of the Greek island Lesvos. In September 2015, around 2.000 refugees arrived this tiny island every day. They pay 1.200 USD each to get a seat in the tiny inflatable boat.